One of today's hottest young stars is now a newly-minted recording artist! Here, we celebrate Xian's rise to fame with a gallery of our favorite photos of him on Cosmo.ph. Yep, you read that right--Xian Lim, one of today's most bankable heartthrobs, now adds recording artist to his resume. The young actor recently released his debut album, So It’s You, under Star Records. It's no secret that we've had our eye on the tall chinito charmer even before he became the certified TV stud he is today. In 2008, we handpicked Xian, then a 19-year-old model and showbiz newcomer, to join our roster of 69 Cosmo Bachelors. We liked him so much that, when his career started picking up via a lead role in ABS-CBN's Katorse a year later, we proudly proclaimed him one of our 10 Cosmo Centerfolds for 2009. 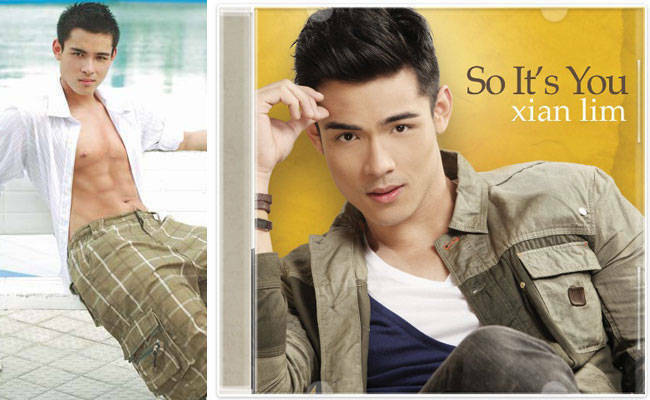 Still, we couldn't get enough of Xian (who can? ), so two months later, we named him our Cosmo Online Hunk for the whole month of November. And if that wasn't enough, a year later, we put the My Binondo Girl leading lad in our pages once again as our December 2011 Man on Fire. If those don't spell out how much we like the guy, we don't know what will! In celebration of Xian’s steady rise to showbiz fame, we chart his journey from little-known showbiz newbie in 2008 to his latest incarnation as a recording artist in 2012, using our favorite photos of him on Cosmo.ph. You've come a long way, baby.